1. n. Sovereignty, rule, independence. Hoʻihoʻi i ke ea o Hawaiʻi, restore the sovereignty of Hawaiʻi. 2. n. Life, air, breath; breeze, spirit (Isa. 42.5). This ea, as well as ea 1, 3, 4, is sometimes pronounced or sung ʻea. Wai ea, aerated waters. Ua mau ke ea o ka ʻāina i ka pono (motto of Hawaiʻi), the life of the land is preserved in righteousness. 3. vi. To rise, go up, raise, become erect. Cf. aea, eʻea, hōʻea. Kai ea (Kep. 183), rising sea. Ua ea kona poʻo, his head was raised. Ke ea ʻana o ka ʻai, ka iʻa (Kep. 97), the obtaining of poi, fish. 4. vi. To smell. Also ʻea. Cf. maea, māeaea. Nā Loko Iʻa "Hawaiian Fishponds", were built to be living refrigerators for the people who once lived solely from the land. These fishponds were meant to produce food and that is exactly what we plan to restore and improve. Since 2011, Loko ea has conducted educational programs to over 15,000 local students and has worked to assist the broader community to reconnect to their cultural identity through their connections to the ʻāina at Loko ea. Loko ea fishpond is a sacred space. 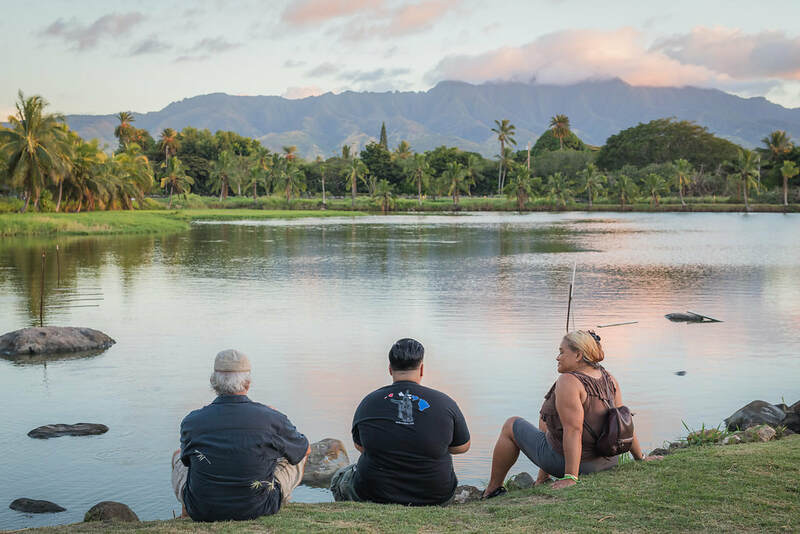 A sacred space for the community of pae ʻāina o Hawaiʻi. A space for practicing our culture and gathering together. A space to learn, to think, to celebrate, to plan, to eat, to replenish ourselves. A place to protect. But mostly Loko ea is place to aloha kekahi i kekahi. "Waialua, land that stands doubly beclaimed." Said in admiration for Waialua, Oʻahu where the weather was usually pleasant and the life of the people tranquil. A bird's eye view of Loko Ea recorded via drone! 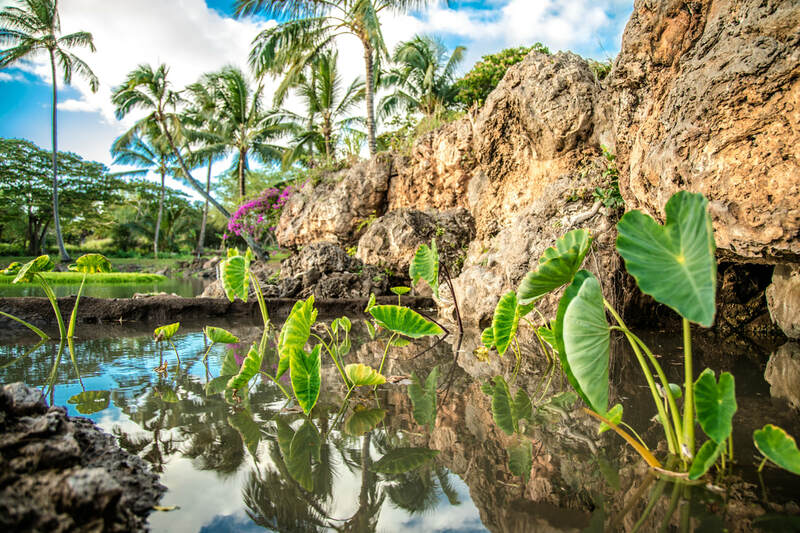 Big Mahalo to Valen Ahlo for capturing this amazing perspective of our beloved fishpond! Grab your sneakers and join us for a road and trail running event through historic Haleʻiwa! The 8K and 15K feature scenic beach views, and both routes wind past Anahulu Bridge, Aliʻi, Kaiaka Bay, the private grounds of Puaʻena Point, and Papaʻiloa Beach. There is also a 2-mile fun walk and keiki fun dash. Everyone will receive a timing chip, a t-shirt, and a participation medal. A catered meal and refreshments will be available after. Proceeds will benefit ʻAmapō Ea—Mālama Loko Ea Foundation’s campaign to deepen Loko Ea to an optimal depth for healthy fish growth. Every dollar raised will go toward the purchase of a specialized dredge machine. We are inviting 4 chefs to prepare two dishes each that will include at least one invasive species ingredient. The event in on March 2, 2019 at the fishpond. Your ticket will include food, open bar, live music, and fishpond tours. VIP guests will have a private dining area, wine pairing, and will receive gift bags. Purchase your tickets here and join us for a fun event. For more information please contact Max Mukai at info@hololeatours.com or (808) 393-3776.